Emer Dooley serves as adjunct faculty in technology strategy, entrepreneurship, venture capital and global health, in the Foster Business School, at the University of Washington. She works with the Buerk Center for Entrepreneurship, involving students in all aspects of company creation, technology commercialization and investment. She has received the University's Distinguished Teaching Award. 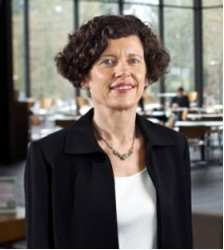 Emer has a BSc and MEng from the University of Limerick, and an MBA and PhD from the University of Washington. As a former computer designer, Emer is passionate about early science and math education. In addition to her work at the University of Washington, Emer is the Executive Director of the Alliance of Angels Seed Fund, a $4.4 million fund that has invested in 16 local startups. She is on the board of the Washington Research Foundation, and ARCS (Achievement Rewards for College Scientists), and a past board member of Social Venture Partners and Julep.